These Candy Crush Soda Level 294 cheats and tips will help you beat Soda Level 294 of Candy Crush. The objective of Candy Crush Soda Level 294 is to find 3 bears in 40 moves. 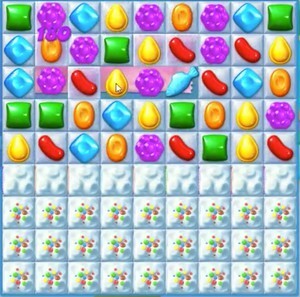 Start Candy Crush Soda Saga level 294 by trying to break the ice tiles at the upper division of the playfield. Doing so will help you create enough space for more candies and better moves. To break the said ice blocks, you only have to make matches evenly across the upper division of the playfield. However, make sure that your matches are really powerful and with the capacity to cause destruction effect on the ice tiles. Avoid making random moves as this may lead to wastage of moves. Instead, calculate your moves wisely and figure out where powerful hits can be made. You can start by matching candies where similar colors tend to be more concentrated. You can also opt to match candies at points where bears are partially visible. Either way, breaking ice tiles should be your first mission.